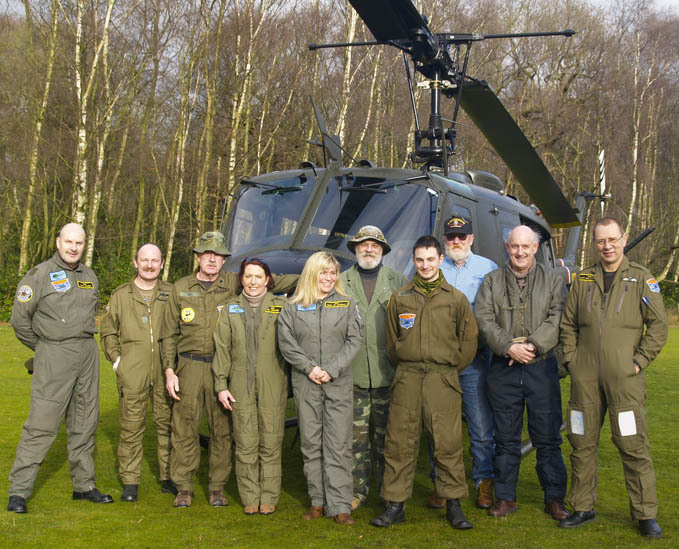 The filming is based around the visit of three US Army Vietnam Veterans who were here to be reunited with the Huey that served in their unit, the 129 th Assault Helicopter Company, over 30 years ago. 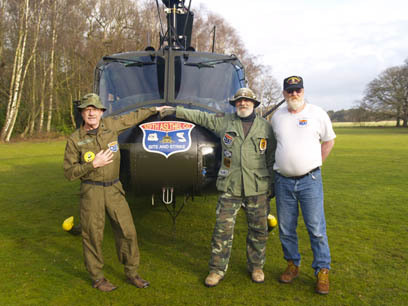 Needless to say it was an emotional reunion for our three US guests, Fred Alvis, Mark Jackson and Ron Paye who are pictured here checking out ‘the bird'. 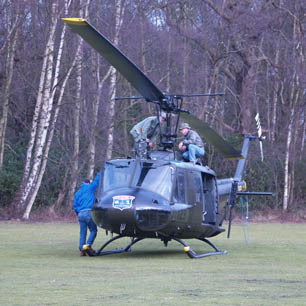 We had lured them to Lytham Hall to ‘see our local historic sites' and whilst they were outside at the front of the Hall being interviewed by Simon Johnson's colleagues at the BBC, Phil and the Huey flight crew of Rob Tierney, Neil Airey and Bradley Johnson, brought Huey in from behind the trees, into sight and then landed her on the lawn right in front of Fred, Mark and Ron. As you'll see on the programme , they heard Huey long before they could see her. Whilst over here the Americans kept a journal through the flight log on their own website – http://www.129th.net/flightlog/flightlog.html (entries starting from their arrival on 25 January 2007) - which makes interesting reading logging the visit from their point of view. 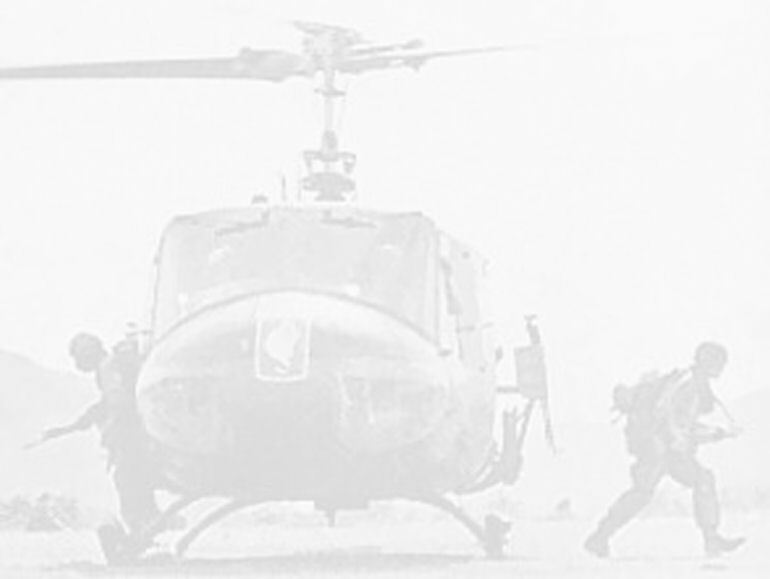 It was a bittersweet reunion for our visitors, for the cargo door on the Huey bears a memorial plaque listing the names of those missing or killed in action from their unit, the 129 th Assault Helicopter Company. One of the names on the door is the brother of one of our American visitors.